CreatineTrec Kre-Alkalyn - 30 kaps. Improved formula of one of the strongest non-steroid compounds used in body building that is creatine. Select it if you want to feel what it means to the real strength! The product in capsules. TREC KRE-ALKALYN® contains patented buffered creatine monohydrate, characterized by extremely high absorbency and efficiency. The improved formula is very stable in the acidic environment of the digestive tract and is not inactivated. This significantly increases the saturation of creatine in muscle tissue and increases its anabolic activity. KRE-ALKALYN® is particularly recommended builders in the period of strength and muscle mass, and practicing strength and speed-strength for high mold. TREC KRE-ALKALYN® is an improved formula of one of the strongest non-steroid compounds used in body building that is creatine. The disadvantage of the traditional creatine monohydrate is its instability under the influence of gastric acid and its quick conversion into its by-product creatinine, which in turn causes a large loss in its absorption. After many years of research and testing by the US company Bioceutical Research & Development Laboratory (BR & D) were able to solve this problem. A technologically new, buffered form of creatine and patented it under the trademark Kre-Alkalyn. Creatine is not prone to conversion in the acidic environment of the stomach, or other liquids to creatinine. TREC KRE-ALKALYN® is the world's only supplement creatine, which is 100% stable, which contributes to its better absorption and assimilation in comparison with ordinary creatine monohydrate. As a result its saturation in the muscle tissue in the absence of negative effects which often occur while using monohydrate, . : burning sensation in the stomach or subcutaneous water retention. With the new technology we can use much smaller doses of creatine (1 g KRE-ALKALYN is equivalent to 10 grams of regular creatine monohydrate) with even better results in strength and muscle mass. 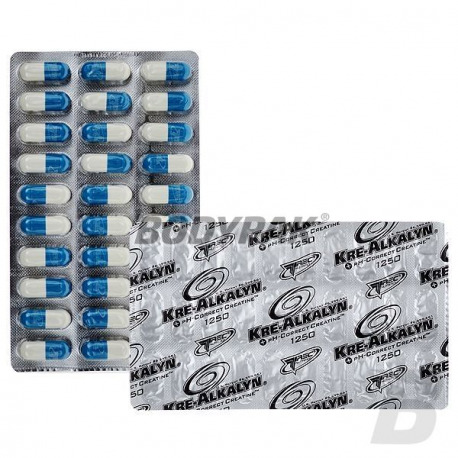 TREC KRE-ALKALYN® is a product especially recommended to body builders in the period of strength and muscle mass, and practicing strength, speed & strength to maintain high physical performance. TREC KRE-ALKALYN® is a legally patented trade mark (Patent No. 6,399,661), only the original product containing buffered creatine monohydrate registered by Bioceutical Research & Development Laboratory (BR & D) - the exclusive producer and exporter / the preparation. TREC NUTRITION has all the rights and agreements to import the original Kre-Alkalyn and for packaging and sale of the finished product under the brand name Kre-Alkalyn. TREC KRE-ALKALYN® AND WILL NOT BE TO WHICH not reach! serving 30 min. before the first meal, II serving 30 min. before training. serving 30 min. before the first meal, II serving 30 min. before the last meal. 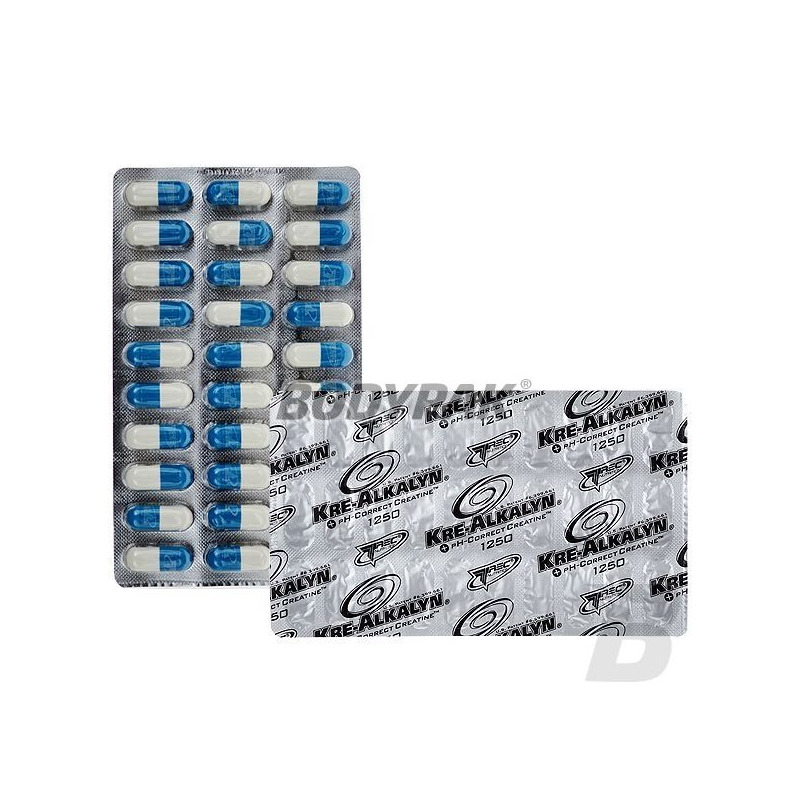 High-quality creatine hydrochloride in a comfortable form - capsules. Supports fat-free muscle growth and speed your recovery! Fully safe and extremely effective! High-quality creatine with the addition of alginic acid! Not only it intensifies anabolic processes, but also supports the regenerative processes. It provides rapid gains in lean muscle mass. Despite its strength anabolic it is 100% legal and safe for a healthy body.